Lori and Heidi have done it...again!! They are full of great ideas, and this is one of their greatest ideas yet. 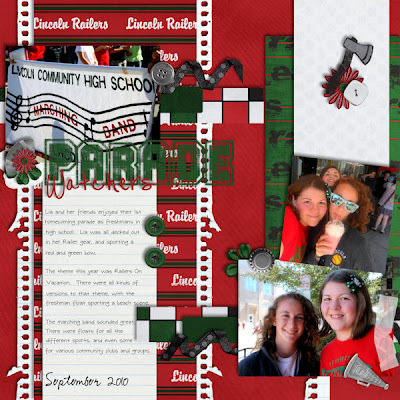 High School Memories is a custom kit - color matched - just for you. 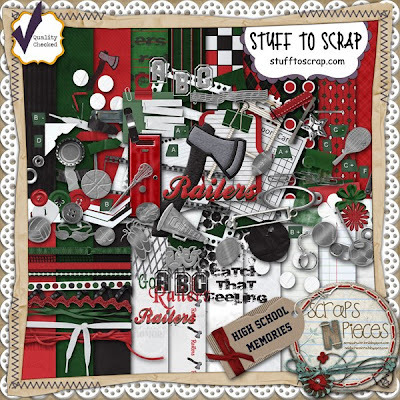 You pick your school's high school colors, provide a mascot / school name, and the end result is a kit built just for you. 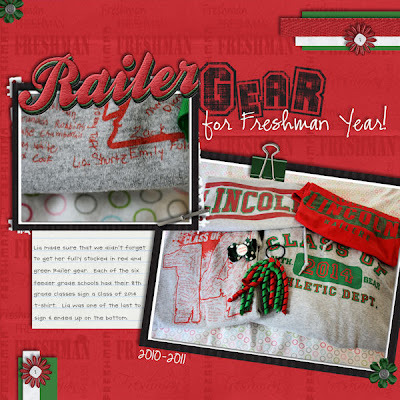 Our oldest child, Lia, is a freshman and the Lincoln colors are red & green. Lori was worried it was starting to look like a Christmas kit, but I think it turned out great. And here's a freebie for you...generic enough for any occassion. Click here or image to download.